You have a few options for how to pay for the next vehicle you buy near the Jefferson, LA, area. That’s why you may be thinking about looking into Mitsubishi Eclipse Cross lease deals. While that might be the right choice for some people, you should really consider whether it’s right for you. After all, everybody has a different financial situation, which means you have to take your specific situation into account in order to make the smartest choice for you. Take a look at why many shoppers prefer to secure financing instead of signing a lease. You’ll love the long-term affordability you’ll enjoy when you buy your vehicle from a dealership near Jefferson, LA. It’s true that you will likely pay less up front if you choose to lease. However, when you buy, you won’t pay as much in the long run, especially if you get a good interest rate and manage to pay off your vehicle relatively quickly. That’s a huge benefit for those who are trying to be as economical as possible in their buying decisions. When you buy a car, you’ll have fewer restrictions than you would if you were to opt for Mitsubishi Eclipse Cross lease deals. When you lease, you’ll have to deal with a mileage cap. If you want to drive more than 10,000 to 12,000 miles a year, a mileage cap will be a significant problem. You also won’t be able to make any changes to your vehicle. That includes any changes to the paint and even putting bumper stickers on your car. If you want to be able to do whatever you want with your ride, you are much better off buying. It’s a much better investment to buy your car than to lease it from a dealership near Jefferson, LA. While a car isn’t the most ideal investment, you can at least sell or trade in a car you actually own. You can’t do that when you lease a car, so you’ll lose all that money you spend on your car payments. 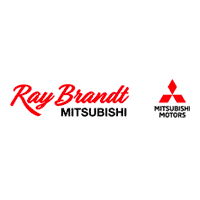 If you can’t decide whether to buy or lease, come speak with a financial expert here at Ray Brandt Mitsubishi near Jefferson, LA, and we will help you make a choice that works well for you.